The Old Timer Splinter Carvin’ Pocket Knife is a whittler’s dream pocket knife because it has everything needed to really get creative with a piece of wood. 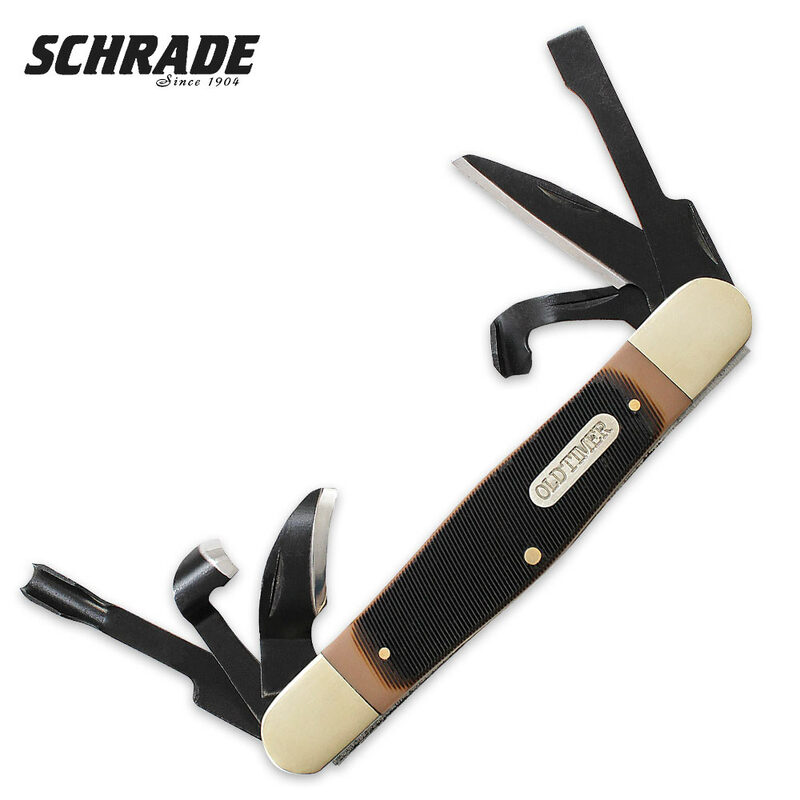 It features a 65Mn high carbon steel detail blade, straight gouge, hook blade, V-scorp blade, gouge scorp blade and chisel blade. The handle is a traditional Old Timer saw cut handle with the Old Timer shield and has nickel silver bolsters, brass pins and liners and heat treated back springs. Love this knife let's me whittle anytime I'm outside and just sitting around. Able to whittle spoons and other things instead of just making a mess like I used to do with a regular knife. Would recommend to anyone that likes to whittle wood. Got this instead of a set of knives and amd glad I did. This is perfect for my needs. It contains all the tools I need and more. Solid lock up , good feel in the hand, sharp out of the box, guality product for a great price.